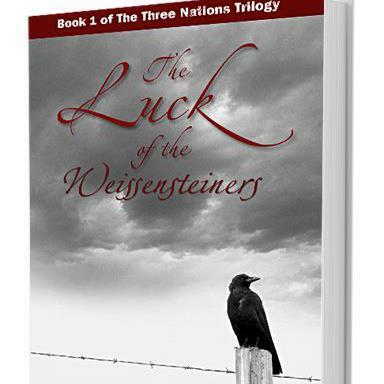 The Luck of the Weissensteiners, which takes place in Bratislava in Slovakia. This fascinating book tells of the interwoven fates of two families. Greta, the daughter of the Jewish (but assimilated) Jonah Weissensteiner marries the gentile Wilhelm Winkelmeier and the couple begins their married life on the farm of Wilhelm’s stern relatives – Johanna and Benedikt. All of the characters are well-portrayed, but I found Johanna to be the most interesting, with her ever-shifting, ambiguous attitude toward the Jews in her life, paralleled by her capacity for both tremendous warmth and terrible coldness. Though, as some reviewers have noted, the novel often drifts into history lesson mode, I was not bothered by that. Often when reading a historical novel I find myself distracted, wondering what was actually happening at the time, so I was pleased to have Mr. Fischer tell me. I agree. Excellent and well-deserved review, Christoph. Sorry to have missed this post Christoph. I actually like when you go into history teacher mode. You don’t over do that aspect and it adds to the story. I also really like that you’ve made it about ordinary people. It’s very relatable and more powerful as a result. Hugs on the wing! A lovely review of this book, Christoph. I enjoy it when people add a lot of historical background. Excellent review – I’ve heard about this book from several sources o maybe it’s time to give it a read!